Why are the glass paintings of Stadtprozelten something special? According to the current state of research, these seem to be the oldest still-existing glass paintings in all of Lower Franconia. 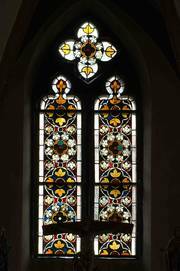 The panes are exquisitely preserved. One can document just a very few supplements (some of which also originated in the Middle Ages). 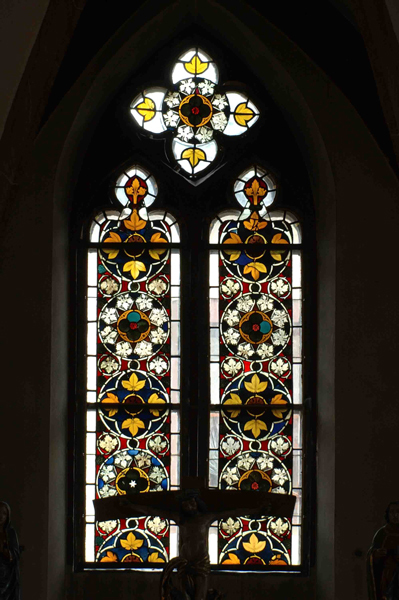 The panes have also kept their original, medieval lead netting, which is very rare. The dating concluded by older research – the early 15th century - can probably be viewed as obsolete. 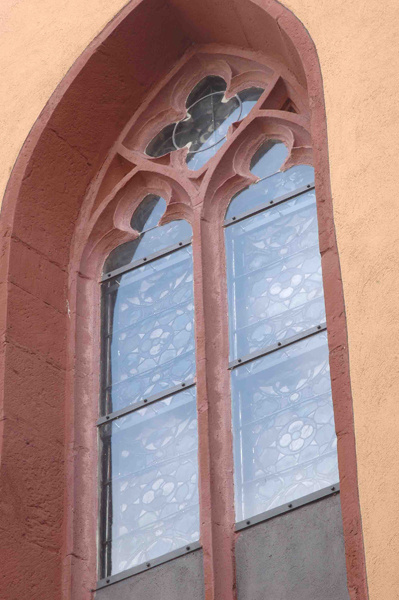 The relevant comparison examples – primarily the glazing of the former collegiate church St. Bartholomäus (""Dom"") in Frankfurt am Main, were built between approx. 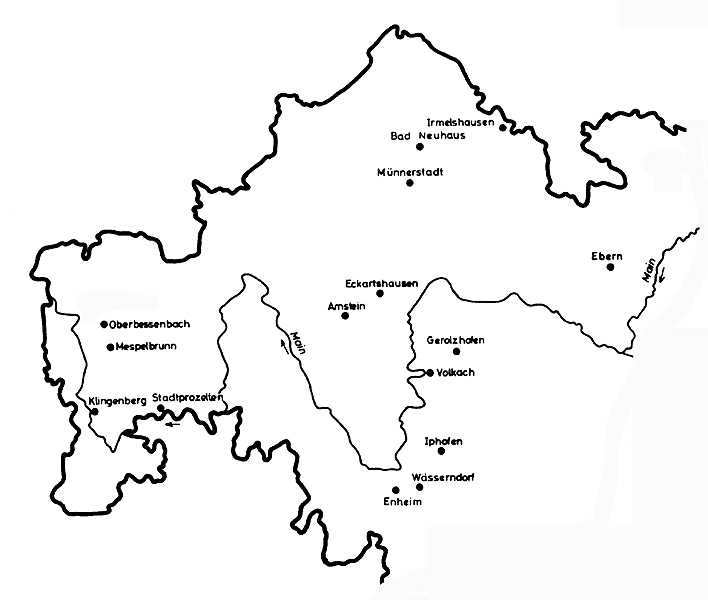 1300 and 1350; therefore, also for Stadtprozelten, one can reckon with its emergence in the 14th century. Conceivable in this context would be a date near 1325-1350, which would have been the possible duration of the construction of the choir loft. An exact analysis based on construction history which could back up this possible date of building has yet to be performed. 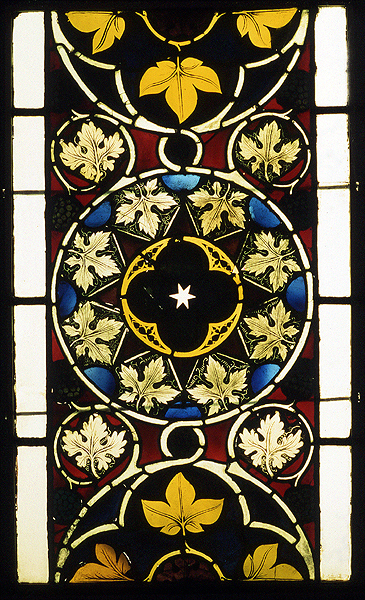 A glass-painting studio in the Central Rhine region most probably performed this work. 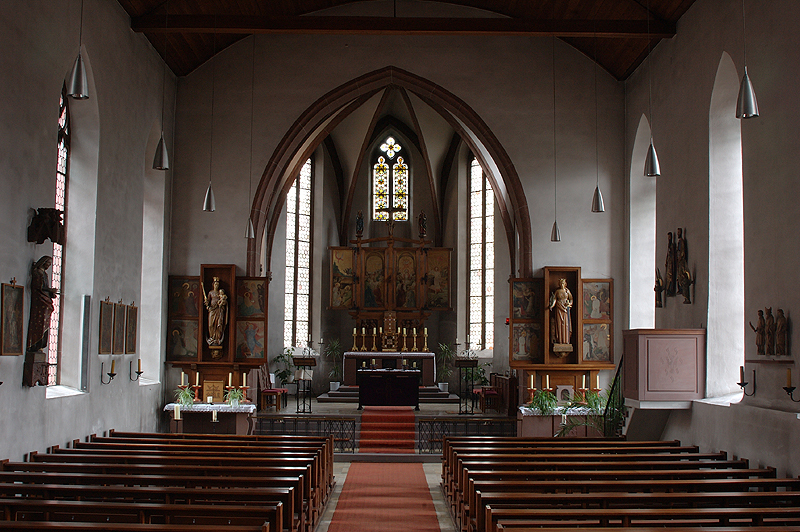 The general fact that in numerous locations along the course of the Main, there are medieval works of art which are"mittelrheinisch"embossed. 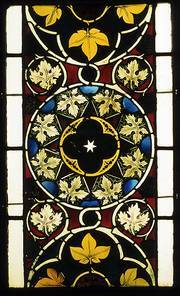 In this case, one could even consider that these were created by those glass painters who also worked on the Frankfurt cathedral. 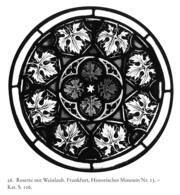 The referral of glass painters based in Mainz or Frankfurt could have taken place via the Deutschordenskommende Sachsenhausen, which was part of a professional organisation along with Prozelten. 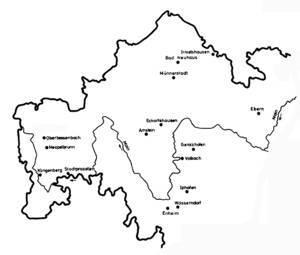 Corpus Vitrearum Deutschland– Research Centre for Medieval Glass Painting, Freiburg i. Br. Why couldn't the cleaning continue? 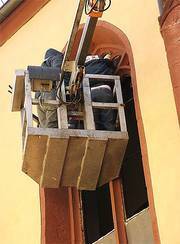 In its previous condition, one could recognise that due to a lack of cover guides and to heavy deflection, the need for action was acute. The removal took place at Hubsteige. Rosette with grapevine. Frankfurt a.M., Historisches Museum. Ehem. Frankfurt, Dom. 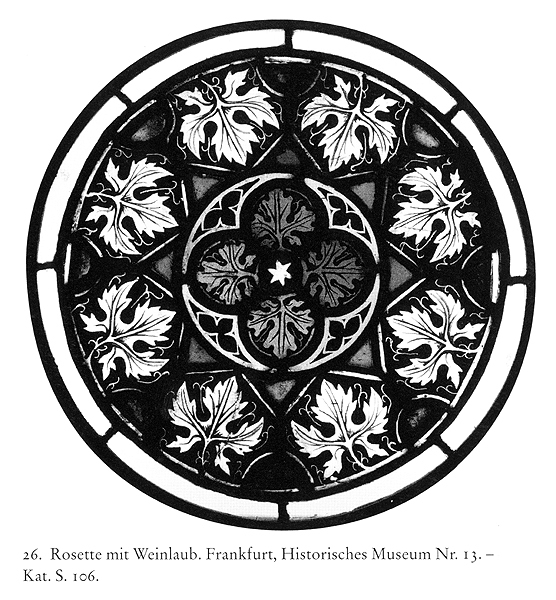 Illustration from Daniel Hess, The medieval glass paintings in Frankfurt and in the Rhein-Main region, Berlin 1999, Abb. 26. The field 6a from the window in Stadtprozelten shows the relationship between the studio(s).